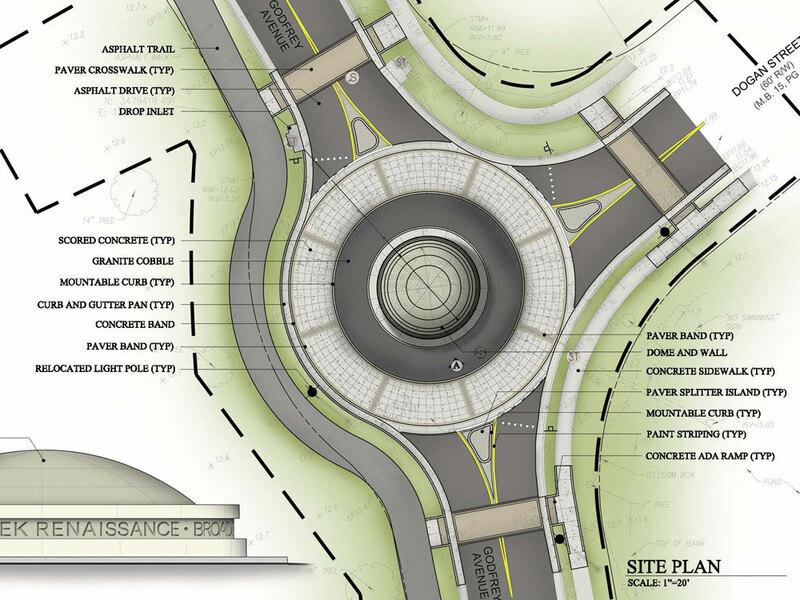 Land Studio assisted the City of Norfolk with design services, structural engineering and electrical design for the traffic circle and sculpture base located at the intersection of Godfrey Avenue and Dogan Street. Design services include a concept layout, diagrams and aesthetical coordination. 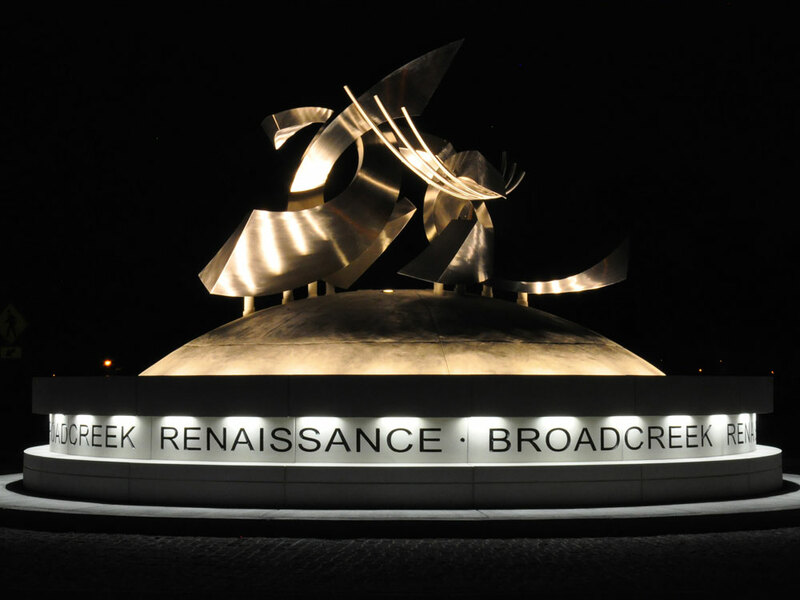 Land Studio also performed the construction administration for Broadcreek and the project was completed in 2014.